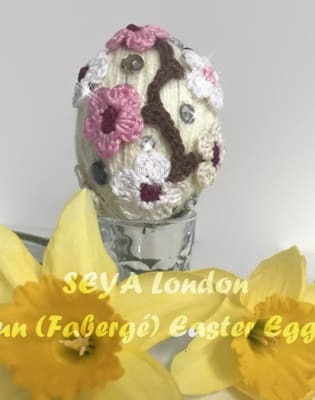 Learn how to make your own textile Easter Egg inspired by the famous Russian Faberge Eggs. You will use the skills of needle felting and crochet. Always dreamed of owning a fabergé egg, those sumptuous little gems stone eggs made in Russia, before the revolution? 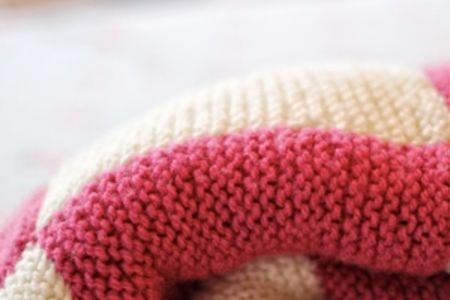 Now you can, with our fun workshop where you will use the skills of crochet and needle-felting to create a real ‘gem’. Viv will guide you through the part of needle felting and Sylvia will help you create your crochet embellishments. Needle felting is an easy technique using wool and a needle to lock the wool together. You will use your crochet knowledge to create small appliques, like flowers and leaves to decorate your egg. Finally, adding a little bit of glamour to Easter you can include glitter beads into the make to give it that real fabergé feel. How fab is that! Work with needle felting tools and yarn, work with colours/ blend colours. 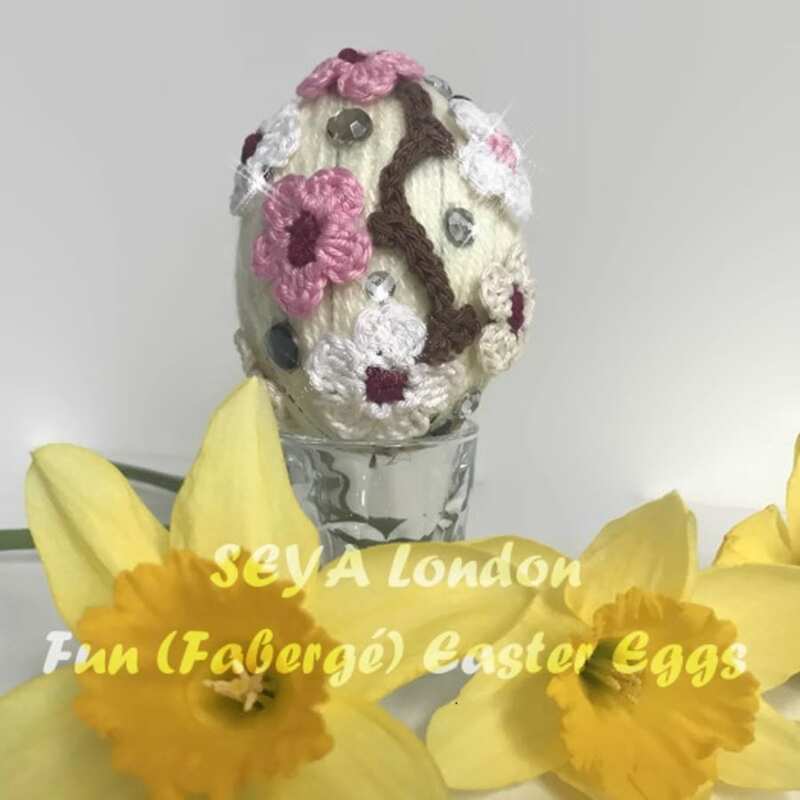 Crochet small appliques like flowers, leaves, cicles to decorate your egg. Work with a glue gun. Crochet – basic knowledge of stitches like single crochet, treble crochet, slip stitch needed. Sylvia runs a business all around crochet. 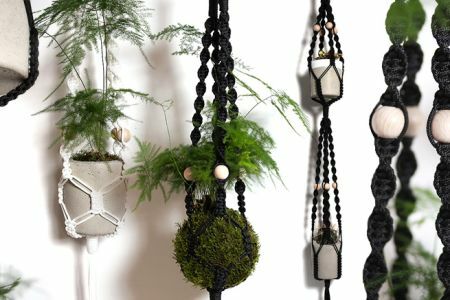 Her mission is to spread the love to and the appreciation of the art of crochet. 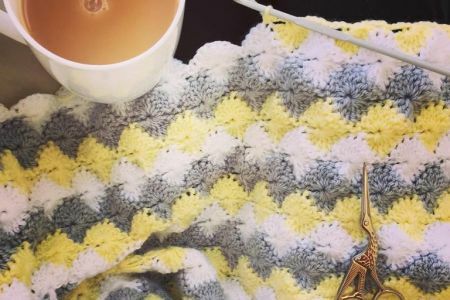 Next to teaching and tutoring crochet to groups or '1 to 1' she is running two successful local crochet groups. 2018 Sylvia joined up with Viv to launch SEYA London. As two friends we soon realised we could pool our knowledge and share our skills with others. Sylvia is the crocheter and Viv is the felter. Together we have formed SEYA The South East Yarn Academy (London). Like the name? We are wool lovers although we also work in other forms of textile too. We see our crafts as art forms and find that creating with textile gives us so much joy which we love to share. All materials as well as light refreshments will be provided. Parking is available along the street and the locations is 3 minutes walk away from the next bus stop. (Due to resources we are unable to cater for special diets or allergies or nut allergies, however there are local facilities available approximately three minutes away, should you wish to purchase refreshments.) Needle Felting Kits and extra supplies are also available on request.